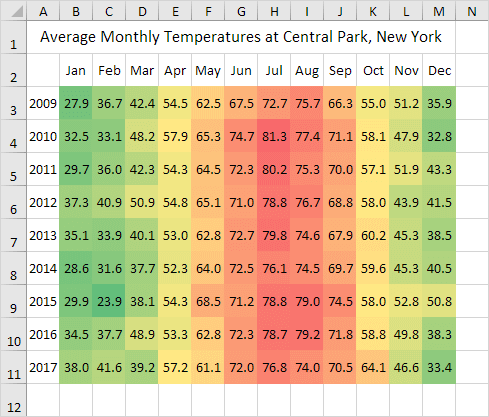 To create a heat map in Excel, simply use conditional formatting. A heat map is a graphical representation of data where individual values are represented as colors. To create a heat map, execute the following steps. 1. Select the range B3:M11. 3. 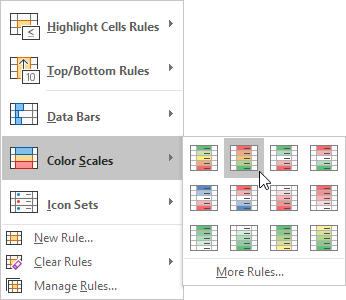 Click Color Scales and click a subtype. Result. A heat map with numbers. 4. Select the range B3:M11. 5. 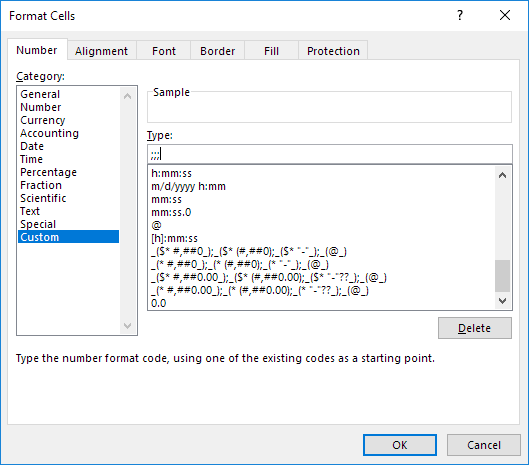 Right click, and then click Format Cells (or press CTRL + 1). 6. Select the Custom category. Result. A heat map in Excel. 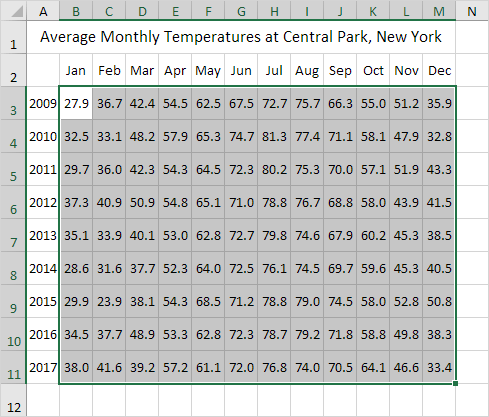 Note: you can clearly see that the summer of 2014 in New York was cool and that Christmas 2015 in New York was warm.